This is the Astro Flight Blinky Lithium Battery Balancer. 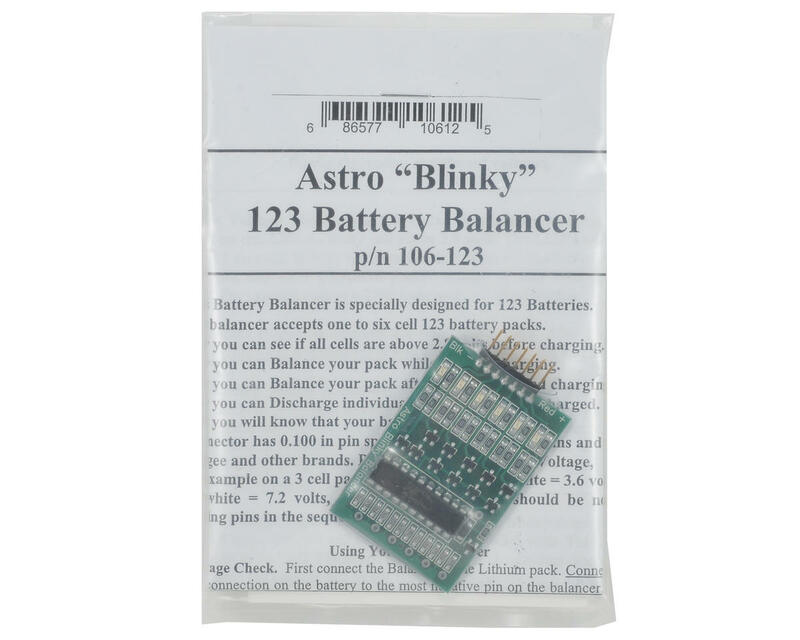 The Astro 123 Blinky is specially designed for A123 Lithium Ion Batteries. The balancer accepts 1 to 6 cell 123 battery packs. The connector has 0.100 in. 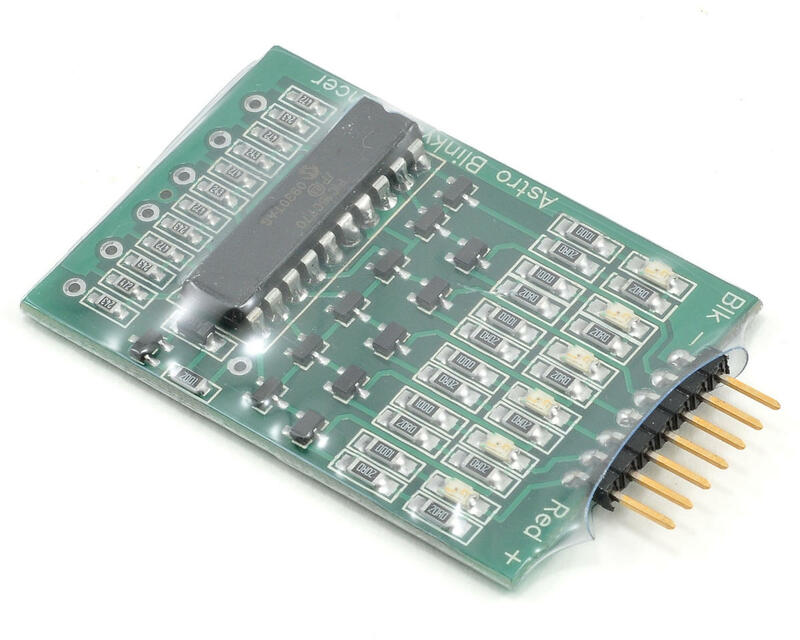 pin spacing with 0.025 square pins and fits Apogee and other brands. Pins should be in order of Voltage. NOTE: You may need to purchase a Thunder Power adaptor if you battery uses a Thunder Power balance tap (AST549).